And the winner of the Most Successful Mobile Ticketing Programme 2016 goes to....Masabi & Transport for Athens. On Tuesday the 26th January 2016 the great and the good of the global transport ticketing industry gathered for the Transport Ticketing and Passenger Information Global Awards. 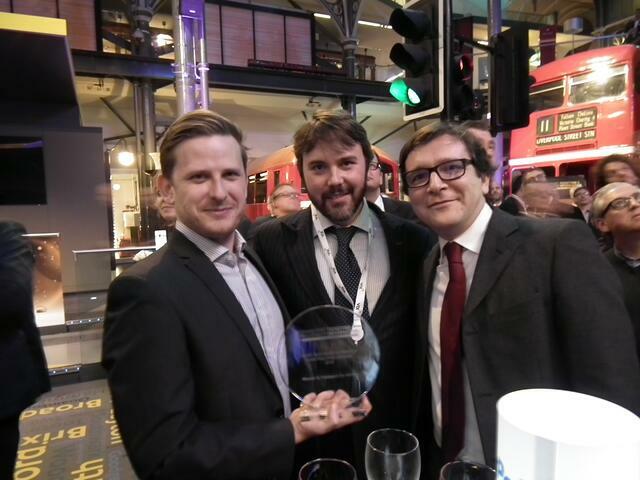 The annual event which recognises the most successful and influential projects and contributors to the industry, took place at London's iconic Transport Museum. In a fiercely contested category, Masabi and Transport for Athens were awarded The Most Successful Mobile Ticketing Programme 2016. Masabi’s prize was awarded for work alongside MasterCard and Transport for Athens (TfA) for their deployment of the city-wide system where passengers can travel on all modes of public transport using their mobile phones. The award winners were decided by an independent panel of judges from across the transport and payments industry, including from the UK Cards Association, Transport Focus, Visa and the Association of Train Operating Companies (ATOC). "Transport for Athens has introduced an all round fantastic transport solution for the city in partnership with Masabi. As the first multi-modal, mobile ticketing programme accessible in a capital city, the scale of this project and the popularity with customers are extremely impressive." At the awards Masabi’s Co-Founder and Head of Innovation, Ben Whitaker, was also recognised as Transport Ticketing Industry Contributor of the year. since its genesis and has played a crucial role in shaping the technology from the very start. He helped define the UK rail mobile ticketing standard and move the weight of industry opinion behind it, and has grown Masabi’s technology to be the most widely deployed mobile ticketing systems in the world. Imagine having to go to the nearest metro station to buy a ticket with cash before you could board a bus. This was the reality for Athenians and tourists before the introduction of city-wide, multi-modal, mulit-language, mobile ticketing allowed passengers to purchase tickets anywhere and at anytime. In December 2014 Athenians for the first time could buy tickets for public transport on their smartphones. Since deployment, Masabi, MasterCard and TfA have seen strong growth, with the number of tickets bought through the app continuing to rise month on month. 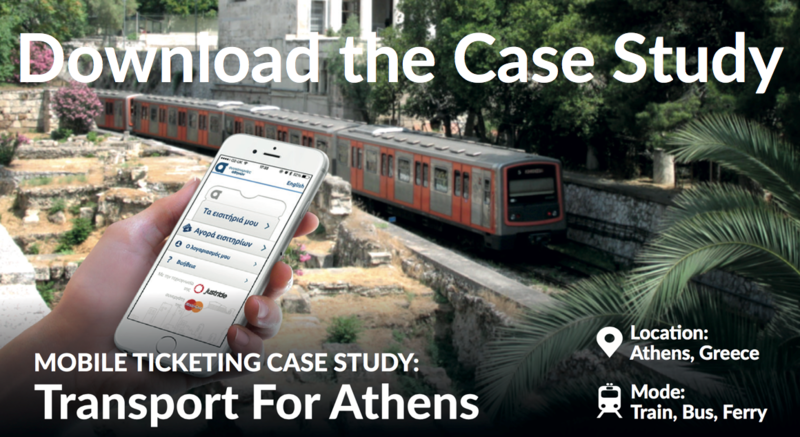 Download the TfA case study and learn how, in only a few months, Transport for Athens deployed city-wide multi-modal mobile ticketing, enabling their passengers to buy tickets whenever or wherever they are.